Most people have only one or two vehicles to think about. And those can cause enough headaches. For these people, the mere thought of having to look after an entire fleet of vehicles would have them jumping in their cars and heading for the hills. But you do it, because you can (although you’re rushed off your feet). And because you’re good at it. But however good you are, unexpected maintenance costs can really throw a spanner in the works. Not just for your sanity, but for your budget. Even if nothing goes desperately wrong with the vehicles and they don’t break down, they all still need regular servicing, maintenance, and an MOT test. It just never stops. Then there’s budgeting for fuel price volatility to think about – or not, depending on your state of mind. Before you open the painkillers, open the latest issue of Fleet Matters. 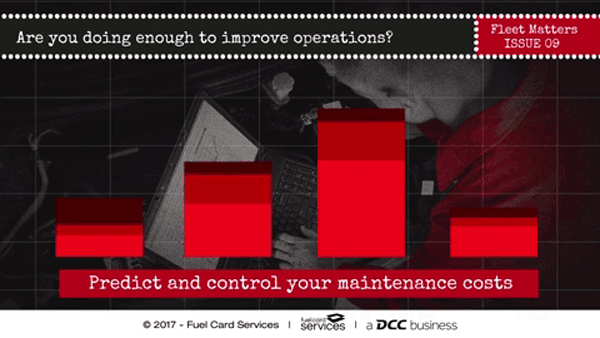 We’ve dedicated one of our quick-to-read articles to improving fleet efficiency with some easy-to-action conclusions.